Coming October 21, 2017. Hustle over to Middleton, Wisconsin for the Haunted Hustle, a fun weekend event. Saturday’s the family fun day with a 5K, a 5K Stroller Derby, and a kids’ race, followed by a bonfire, s’mores, pumpkin decorating, and music. Sunday’s the day to work off those s’more’s with a 10K and a challenging, half marathon. The courses are mostly concrete roads and paved trails with the exception of the half marathon that has a portion with crushed limestone. Most everyone wears a costume (that’s the fun part! 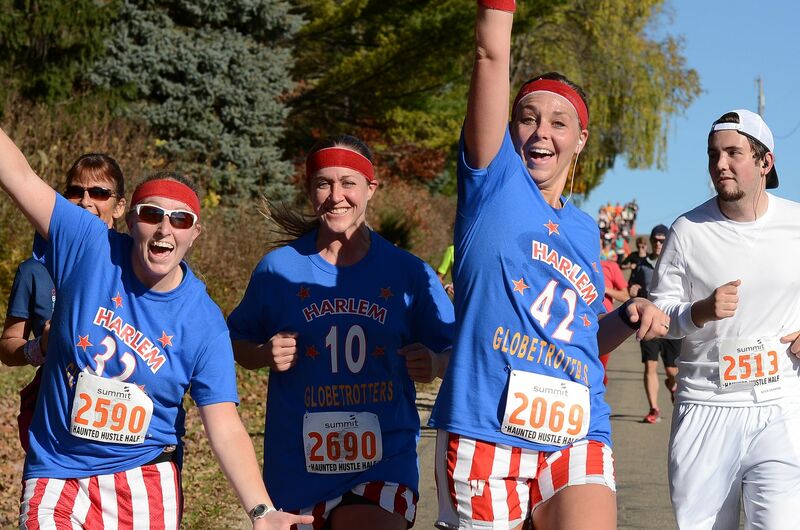 ), so start thinking about a race-friendly running costume!